Enter the Whats Your Tech Contest, in it, you could Win a Hisense 65-inch 4K Roku Smart LED TV. This contest is open only to legal residents of Canada (excluding residents of Quebec) who are over the age of majority in their province or territory of residence. To enter you have to visit the official contest web site and complete the online entry form with all the required information including your name, last name, email address, phone number, city, province, postal code, gender, employment status and your answer to a skill testing question. Competition ends on February 17, 2019 at 11:59 pm. Winner will be selected at random from all eligible entries. 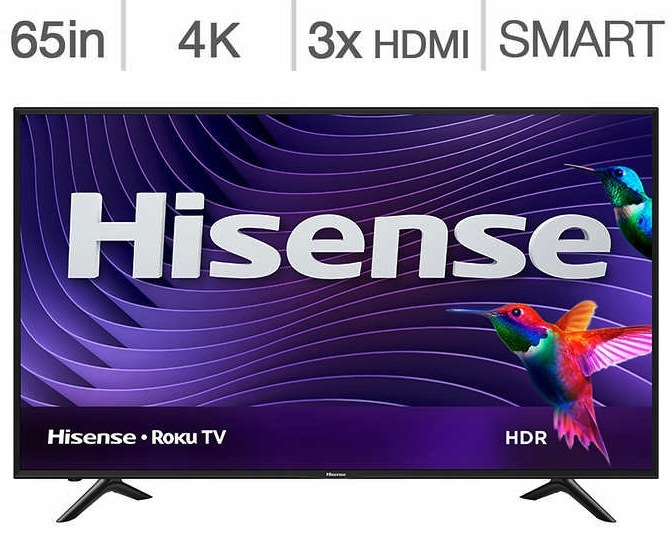 There is one Hisense 4K 65" Roku TV available to be won. The Whats Your Tech Contest starts at 12:01 am ET on January 18, 2019 and closes on February 17, 2019 11:59 pm ET. The draw will take place on February 18, 2019. Winner will be contacted by email or telephone within two days of the draw.